Your organization can only fully benefit from modern technology, when you are able to brigde the gap between IT and the business. 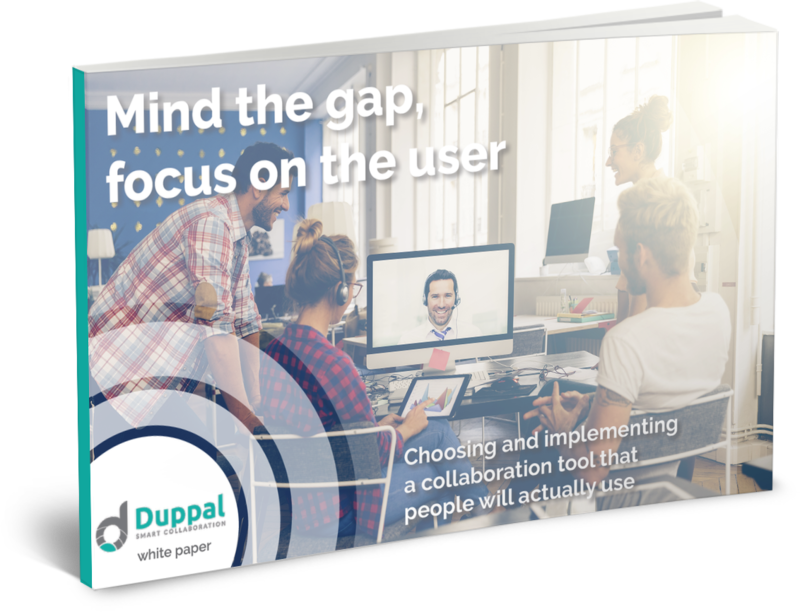 Although the collaboration tool of your choice may meet your high IT-standards, that does not mean it matches the needs of the end-user or the business. The outcome: you are stuck with expensive software licenses that are not used within the organization, users end up unsatisfied and disappointed and the gap remains. Download the white paper for practical tips and insights!